Eww! 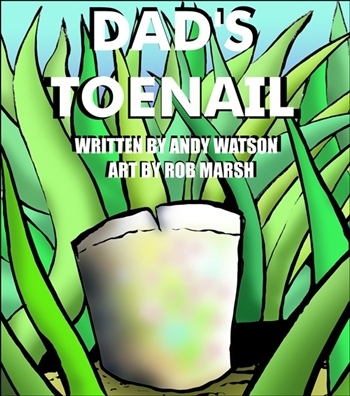 Dad lost his toenail, but will not throw it away. He thinks that it is just too useful. It’s up to the kids to help him decide what he could do with it. A carrot peeler? An ice scraper? Perhaps a really nasty dip scooper? What other uses are there, and how long will Mom put up with the smelly thing?